Our dedications to developing a sustainable, low environmental impact operation is apparent in our actions. Ceningan Divers’ commitment to sustainable development and conservation is apparent in our actions and mandates. We recognize the need to develop sustainable business practices and our environmental responsibilities. Fresh water on Nusa Ceningan and in Bali is particularly scarce. That is why we use the grey water from our bio-septic toilets to water our garden. In 2018-19, we build a 68,000 litres ground reservoir to catch rain water, we will use this water for our dive pool, our showers at our training facilities and to water our garden during the dry season. We source organic products for cleaning so as not to pollute our eco-system. Our staff has been trained to conserve energy, in keeping electricity and water consumption and non-organic waste to an absolute minimum. We provide free drinking water to our guests with refillable, recycled, glass bottles as opposed to plastic-bottled water. We have several water stations throughout our dive resort and on our boats for our guests to refill their own personal bottles. Our restaurant and bar use ingredients which we source from sustainable, organic vendors or local distributors. Our aim in working with fair trade producers and organic farmers is to provide our guests with healthy options which aren’t always easily accessible when traveling. We have an hydroponic garden on site, we grow our own herbs such as basil, mint and other ingredients we commonly use at the resort. Looking towards the future, we also planted several fruit trees when we opened our resort in 2015. We are currently looking at other options to expend our garden. These carbon negative solutions help reduce our overall carbon output. One of the leading global issues is the increasing amount of plastic pollution in our oceans. In an ongoing effort to eliminate such waste, we vowed to not use plastic straws or single use plastic products at our eco resort and dive operation. Instead we serve our juices and cocktails with a stainless steel straw. We pack our food in our kitchen and snacks for our boats in reusable containers. We do not offer single use shampoo or soaps in our eco resort. Instead we provide organic body soap from dispensers and we sell organic shampoo bars to guests looking for alternative options. Our eco-friendly dive resort put in place a policy allowing guests to only use reef safe sun protection. We sell a suitable, locally produced cream made with Illipe butter. Guests are not allowed to use toxic sun protection products on our boats, pool and at the resort. Educational material on the impact of chemical on get reef and ocean is made available in our briefing area. Guests can use alternative sun protections to ensure they do not sunburn while out enjoying their water sport activities. At the resort we have separate rubbish and recycling stations, this allows us to separate recyclable material such as plastic, cardboard, glass and other materials. We also have several composting areas around the resort which help eliminate organic waste from our rubbish. We host weekly Ceningan Trash Hero cleanups. Our team along with volunteers from around the globe take an hour each each Monday from 5 to 6pm to pickup rubbish from the beaches, mangroves, streets and fields of Nusa Ceningan in an effort to keep the island clean. As part of this initiative, we provide free education and share information with other likeminded people. Green Fins is an approach to sustainable marine tourism activities that works with business operators, communities and governments. It helps to implement environmental standards for the diving and snorkelling industry through a code of conduct. The overall aim of the initiative is to mitigate damaging impacts to the marine environment from the marine tourism sector and improve sustainability. The code of conduct is a set of 15 points designed to tackle the most common and detrimental effects of SCUBA diving and snorkelling activities on the habitat in which they operate. Ceningan Divers works in partnership with various community partners around Nusa Pendia, Nusa Lembongan, Nusa Ceningan and Bali to ensure our local reefs remain healthy and pristine. We participate in annual coral watch and reef monitoring programs. Our team is composed of passionate educators and divers who dedicate their time and energy to share their love of our Ocean Planet. We take part in community coral transplantation initiative as well as other activities aim to preserve the beauty of our Marine Protected Area. As part of our ongoing goal to ensure our Ocean Planet remain a sustainable environment for future generations, we created and offer workshops on various subjects at our PADI 5* Dive Resort. 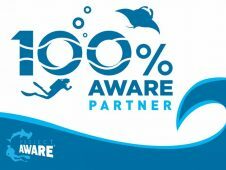 While staying at our resort our guests can learn about Project AWARE Specialties, attend a Manta or Mola workshops, access general information and publications around our resort to help them better understand the impact we have on the local environment, reef and ocean. From our conservation-focus arrival briefing, our weekly workshops to our morning boat briefings, we aim to share our knowledge and passion with our divers. 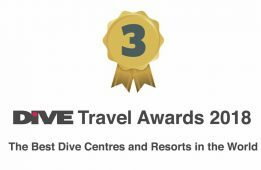 Ceningan Divers was recognized by the United Nation, The World Reef Foundation, the Coral Triangle Centre, and Underwater 360 Magazine in 2018, we were awarded The Dive Operator of the Years Award at ADEX in Singapore. 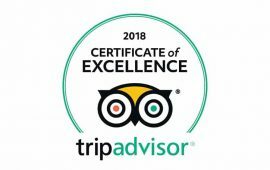 Ceningan Divers is a PADI 5 Star Dive Resort. 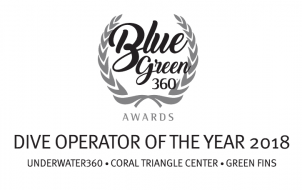 Our eco resort is a Green Fins Operator, Green Star Award, 100% AWARE Partner, the winner of the Dive Operator of the Year at the 2018 BlueGreen360 Awards and voted 3rd Best Dive Resort in the World by DIVE Magazine UK in November 2018.